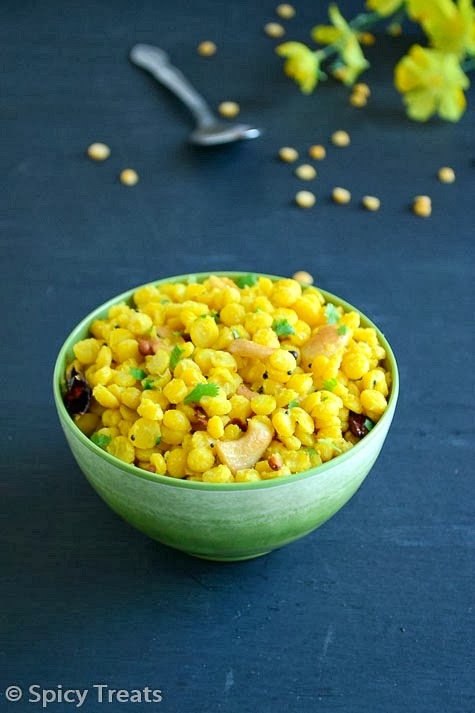 Wash and soak chana dal for 1-2 hours, then cook with 2-3 cups of water, salt and turmeric powder till soft and tender, but not mushy. Once done drain the excess water and keep aside. 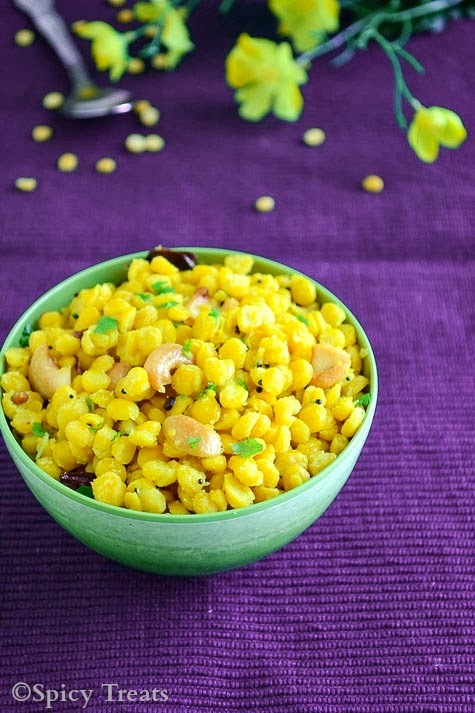 Heat oil in a wok/pan, when its heated add mustard seeds allow to pop, then add urad dal and cashew nuts and roast till golden brown. After that add hing, dry red chilli, curry leaves fry well, then add the cooked and drained chana dal and stir fry for a minute. Lastly add finely chopped cilantro n fresh ginger(optional) mix well and switch off the stove. That's it...Tasty Chana dal Sundal ready. 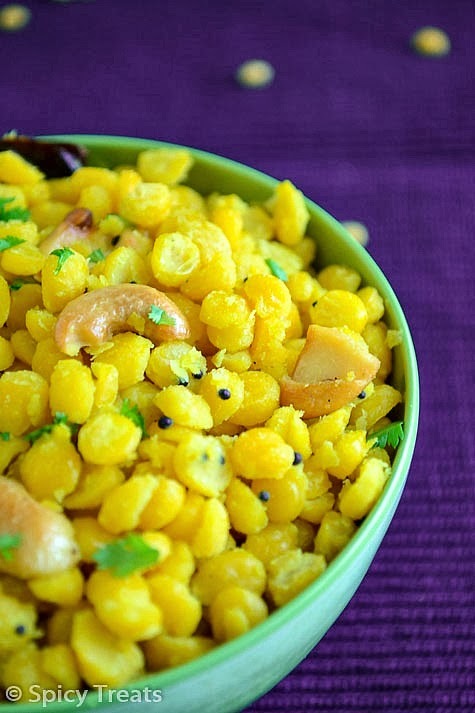 Soaking chana dal is optional but you can cook it straight away. I do not pressure cook the sundal, since sometimes it lead to mushy dal. So cook in a sauce pan till it gets soft and cooked. 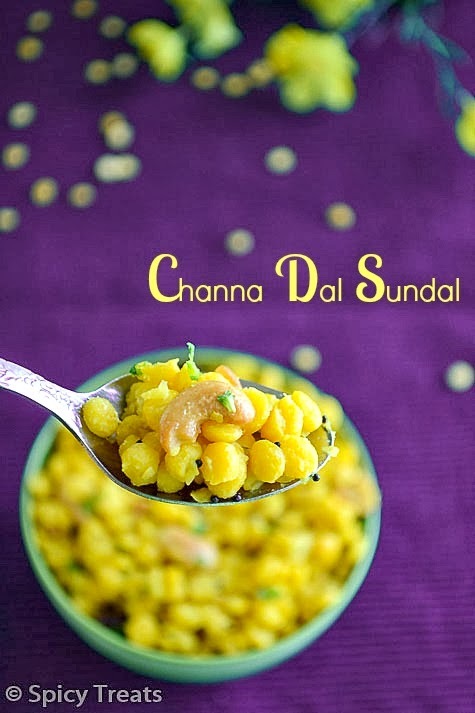 Very healthy and delicious chana dal sundal. Yummy! 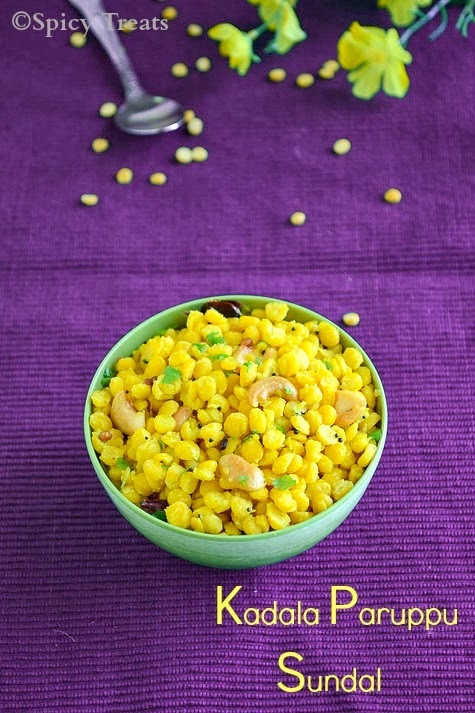 Simple and delicious sundal.. 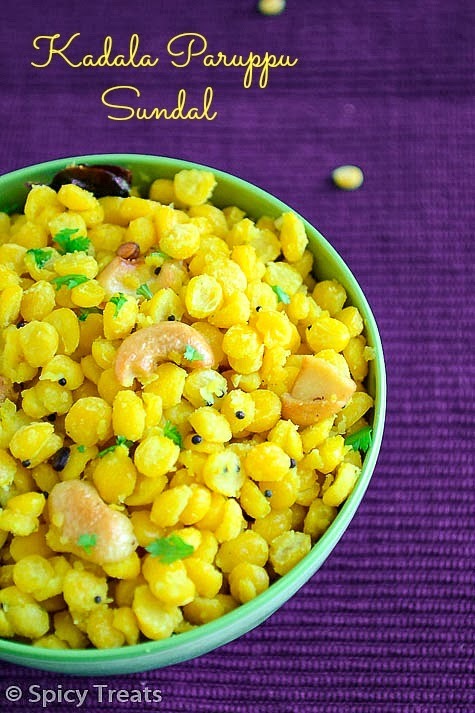 Adding cashew to the sundal makes it more attractive..
Love the pictures Sangee.. Very Colorful.. Simple dish looks just awesome coz of great clicks.. violet backaground making it rich. i too luv Navratri golu watching..